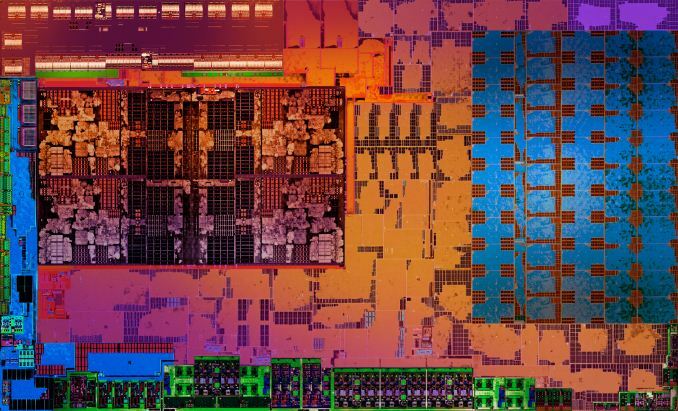 Sources familiar with the matter have confirmed that AMD is in talks right now to renegotiate the Wafer Supply Agreement in light of GlobalFoundries decision to drop out of the race for 7nm. The last negotiation gave AMD quite a lot of freedom (that came at a cost) and was known as the 6th amendment to the WSA. This iteration would be known as the 7th amendment and would probably offer even more freedom for AMD. This is a very big deal. To understand how big of a deal this is, we first need to look at the 6th amendment to the WSA and the conditions it had set for AMD. To those who don’t know, the WSA (or the Wafer Supply Agreement) is the document that dictates the design-manufacturer relationship between GlobalFoundries and AMD. As some of you may know, GloFo used to be part of AMD before the latter spun it off into a separate entity. This was done due to the fact that the foundry business was starting to hurt in terms to an increasingly cash-strapped AMD and it did not make sense at the time to retain such an R&D intensive branch. Ironically, even though the company was spun off, AMD was still bound to purchase a ‘quota’ of wafers from the company every year and could not reach out to other pure-play foundries without heavy penalties. Lisa Su entered the scene and renegotiated the terms of the WSA with GloFo to introduce the 6th amendment to the scene. This gave AMD massive amounts of freedom to outsource its GPU and CPU ambitions to other pureplay foundries and is one of the reasons Zen has flourished. But all of this came at a cost. It is here that I will start to get into specifics. Pay a relatively small penalty to GloFo for each wafer produced at TSMC/Samsung. This will be included in the annual wafer quota calculations. If the annual wafer quota is not met, then pay a penalty on a fraction of the difference too. So as you can see, fabricating a wafer at any other foundry than GloFo is basically double jeopardy for AMD. Simply put, these were/are shackles that still bind the company to its former whole. All of that, however, might change with GlobalFoundries officially dropping out of the race and materially changing the nature of their relationship with AMD. See, the understanding between both companies was that GlobalFoundries will continue to churn out new process nodes and AMD will keep buying – with the former no longer happening the latter can now be, well, amended. I have been told that AMD is certain they will agree to the new terms that are “mutually beneficial” to both parties. Keep in mind, my source did not actually state that the terms would benefit AMD, just that they would be ‘mutually beneficial’ and they are fairly confident AMD will agree to them. This implies that we are probably looking at increased leniency (in the annual wafer quota) and even better terms for the company. More cash freed up from the WSA means more money it can put into R&D or just about anywhere else. Not only this, but its also a reminder that the WSA has a limited lifespan and it will start to wind up in 2020. This is the first sign of AMD transitioning to a truly fabless entity and probably the only silver lining to come out of GloFo dropping out of the nm race. It goes without saying that there is also the very slim (but non-zero) chance that GloFo manages to increase AMD’s burden with the 7th amendment instead of alleviating it, but I would think that unlikely.